© 1951 Fred Rose Music Inc. Covered by Bob Dylan, Tuscaloosa, AL, Oct 26, 1990. 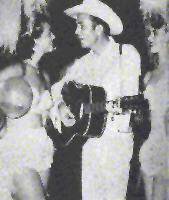 Original recording: Hank Williams, Castle Studio, Nashville, TN, Mar 16, 1951 (master 51-S-6029; original release: M-G-M 11000, Jun 1951.
as reprinted in The Songs of Hank Williams, New York, no date, pp. 52-53.